One Hello Kitty Spoon Cake Decorating Kit. 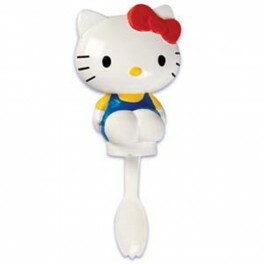 This adorable plastic 14cm Hello Kitty Spoon topper can be inserted on top of a cake to create a gorgeous centerpiece. Spoon is 6cm long.